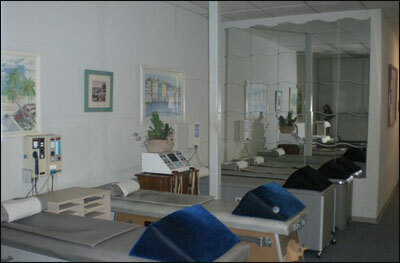 The Chiropractic Office of Marc A. Lewis, D.C. Welcome to our San Diego Chiropractic website. Please take your time as you look through the many different pages. If you have any chiropractic questions or comments or you would like to schedule an appointment, please feel free to phone us or email Dr. Lewis directly. At Contemporary Health Care and San Diego Chiropractic, we believe that each patient joins their doctor of chiropractic to become a team for treating each individual's chiropractic problems. Dr. Lewis spends a lot of time listening, to understand your concerns and responding with the best treatment options for you. He is proficient in many different techniques that he can utilize in order to achieve the best results in the quickest amount of time. We want our patients to be informed about muscle, bone, joint and connective tissue concerns, and treatments, because informed patients make better decisions about their health and well being. That is why we've included a section on this website covering common topics associated with chiropractic care. We encourage you to look through these pages whenever you have an interest or concern related to chiropractic health. We also know that convenience is important to your selection of a chiropractor in San Diego. In these web pages you'll find information about Dr. Lewis, his San Diego / Mission Valley clinic, including location, maps, directions, hours, insurance policies and appointment scheduling. Please feel free to contact us with any questions you have or to request an appointment. We hope you'll find our San Diego chiropractic practice offers the accessibility and personal commitment you look for from a Chiropractor. Our office is conveniently located in San Diego's Mission Valley East, across from Kaiser Hospital, on the corner of Mission Gorge Rd. and Zion Ave. We have been in the same San Diego location for over 20 years. We welcome new patients from all areas of San Diego. You can usually be seen that day. Our chiropractic practice specializes in treating a variety of conditions, from chronic low back and neck pain to rehabilitation following an accident or injury. We also treat many other musculoskeletal injuries, such as carpal tunnel syndrome, Fibromyalgia, tennis elbow and strain/sprains of joints. Additionally, Dr. Lewis is a specialist in fitting orthotic inserts. We can also provide information about improving your diet, creating a healthier workplace, and increasing the overall quality of your health.